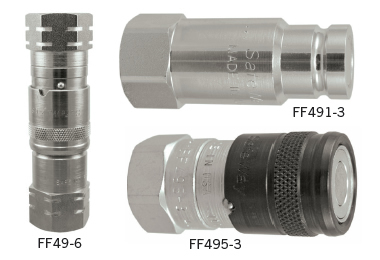 Northern Hydraulics stocks a full line of agricultural and industrial quick Safeway couplers. 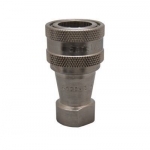 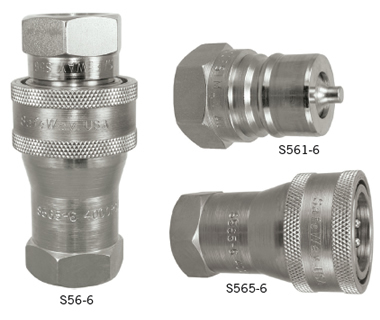 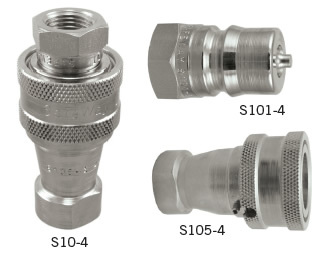 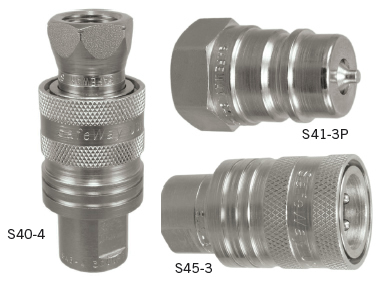 Quick connect hydraulic fittings are manufactured by Safeway Hydraulics. 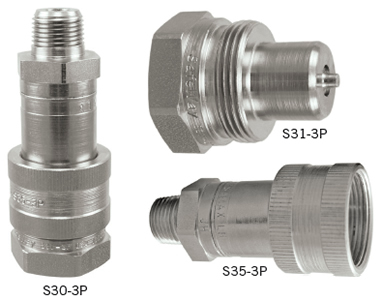 Pipe thread, SAE O-Ring Boss, BSPP and metric pipe thread are available in a variety of sizes from 1/4" up to 1" depending on the series. 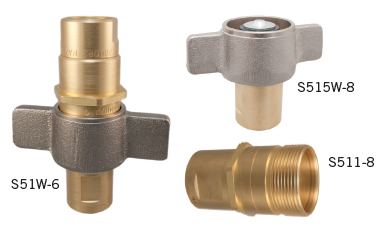 If you need any help when ordering Safeway quick couplers please give us a call at 1-800-823-4937.